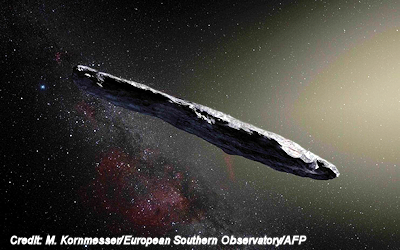 Last year, astronomers spotted an unusual interstellar object moving through the solar system at the breezy pace of 26 km per second. This month, a pair of Harvard scientists published a paper suggesting that the object might be an abandoned alien spacecraft pushed forward by a “solar sail”—a device using energy from the sun to propel the vessel through space. In January 2019, it will travel beyond Saturn’s orbit on its way out of our solar system. In the interest of scientific rigour, Maclean’s has rounded up the hottest takes from Canada’s leading experts on what they believe ‘Oumuamua might be.